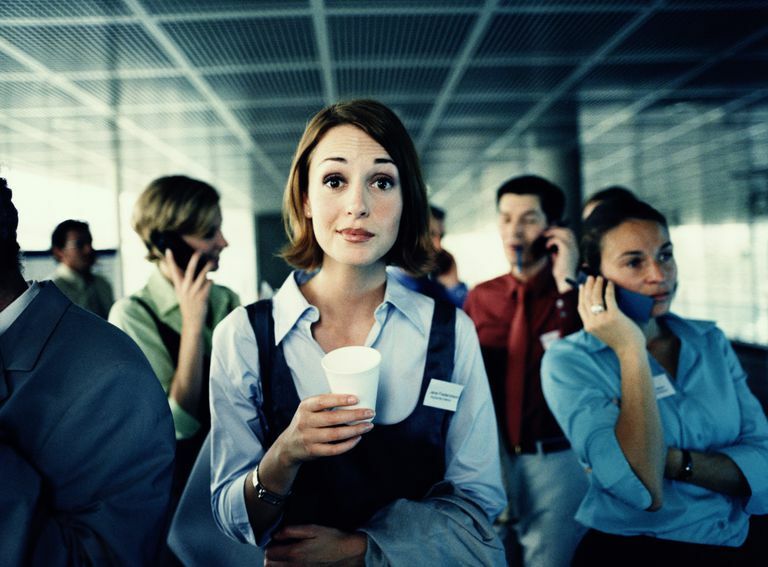 Office party anxiety is a problem for everyone; not just those who suffer from social anxiety. Handled well, an office party is a chance to get to know your coworkers better and potentially present yourself in a good light to your boss. Unfortunately, if you live with social anxiety disorder (SAD), the annual office holiday party may fill you with dread. What is it about office parties that cause so much distress? For those with SAD, it may be the fear of embarrassment, being judged by others, not knowing what to say during the small talk—all of these factors can come into play when you put 100 of your colleagues in a room together. While it's easy to say, just relax and be yourself, for those with SAD this may not do the trick. If you've not yet got a handle on your anxiety, plan to stay only for a short time. Don't apologize about leaving; be glad you've made an appearance despite your anxiety. On the other hand, if you're working on your anxiety but still are weak in your social skills, this is your chance to prove to yourself that you can do it. Get out there an have some fun. While you may not really want to meet new people, think of it this way—the more people you meet and make friends with at work, the less it will feel like work. In fact, if you can approach each stranger as a friend you haven't met, eventually the whole room will be filled with people that you know. While you still may not like to make small talk, at least you can smile and nod at Carol in accounting because you've talked to her at an office party. These three simple behaviors will make it easier for others to approach you and open up. If, on the other hand, you stand with your arms across your chest, you're likely to dissuade anyone from trying to talk with you. Often it is easiest to join conversations that are already ongoing. It may also be easier to talk with spouses of coworkers since they may not know anyone at the party and would be grateful to have someone with whom to talk. If speaking with your superiors makes you nervous, at least shake hands and say hello so that your presence is known. Think of something in advance to say about what you are working on, and bring it up if it seems appropriate at the time. This will help you to make a better impression and will ease anxiety about not knowing what to say. At the same time, conversation at a work party does not need to revolve solely around your work. Get to know people on a personal level. Ask questions and listen to what others have to say. Brush up on current events, and have a couple of jokes memorized just in case. Give sincere compliments and avoid spreading office gossip. Backing out at the last minute: Treat the party as a work function and force yourself to go even if you are anxious. If you have to leave after an hour, that is okay. Avoiding everyone: If you are simply too anxious to mingle, volunteer for a job at the party to keep you busy and interacting with others. Drinking too much: You are at risk for using alcohol as a means of coping with social anxiety. If you do drink, get something to eat and alternate alcoholic drinks with non-alcoholic drinks. Continue the conversations that you started during the office party afterward, to develop personal relationships with coworkers. Immediately after the party, make some notes. Then, follow-up with conversations or emails that show you remembered important details about others. Even just sending a link to an article that someone may be interested in shows that you were listening. It can be hard to cope with the social obligations of work when you suffer with SAD. These are some simple tips for coping with office parties. If your social anxiety is severe and you have not yet sought help, a professional diagnosis and treatment such as medication or cognitive-behavioral therapy (CBT) may be in order. Dukcevich, D. Office party survival guide. Ryerson University. Surviving your office party.